A strange hybrid of metal and soft rock. Those drums are pretty great. Is that a banjo or a guitar? Love the layers of instruments and voices. His voice is really just another instrument, isn’t it? "I could see for miles, miles, miles"
This one’s a big winner. Just really lovely. I like the fact that he didn’t throw as much into this one. Thank God those locomotive drums kick in, because I was going to have to do it if he didn’t. This one’s sort of goofy. Kind of reminds me of Rachel’s later work. Bears the nostalgic mark as well. I’m a sucker for those warm, mournful synths, so I love this track by default. Transitional. Not much to say about it. It’s ridiculous to me that in 2011, there are people arguing that the instrumentation is controversial because it is cheesy. That’s because it’s so wonderful. This sounds like the soundtrack to Christopher Cross’ dreams. This is hands down one of the best tracks of the year. BTW, it should be against the law for bands to release self-titled albums, unless it is the debut. I think it’s such a cop out. Points docked on concept. Surprised he released this in the summer. Would have made more sense as an early fall. This reminds me of the Strands of Oaks’ Pope Kildragon, except all dolled up with special effects and such. Reminds me of the Destroyer album that came out earlier this year as well. He’s all about evoking a sense of location and space, eh? 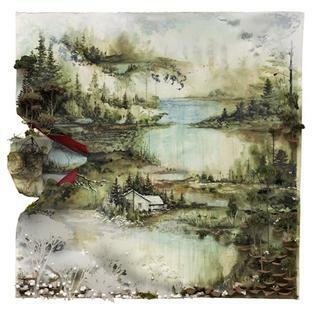 These songs are very personal in the sense that he is giving voice to specific locations. Places and times, some fictional some real, some non-descript and other very specific, some ancient, some yesterday. There’s a lot going on here. I’ve barely scratched the surface lyrically. I’d love to dive into this one a little more at some point. Except it’s like Eno’s Another Green World with Chris Martin singing in falsetto, and his Hobbit brothers nowhere to be found. Seriously, isn’t it funny how Chris’ bandmates all have Hobbit names? Great cover art. Sort of naturalist and surrealist all at once. Now the tracklist isn’t in any particular order, but below I’ve written up what I consider to be the top 8 and linked to where you can listen for yourself. Enjoy! 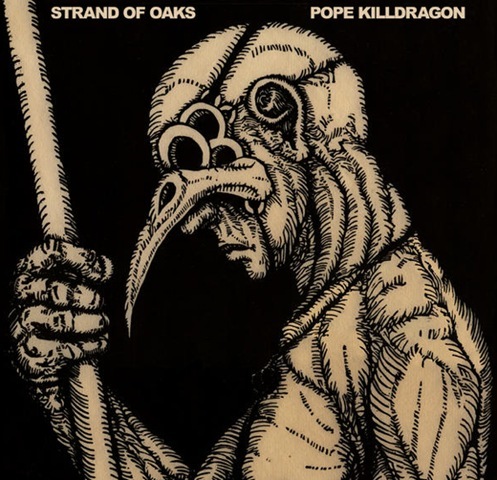 I was an instant fan of Strand of Oaks after hearing “Bonfire” a few months back. Timothy Showalter has an approach that might best be described as creepy campfire folk, evoking all kinds of dark season imagery through melancholy vocals (a la Robin Pecknold), acoustic guitar, and eerie, lush synth. “West River” opens things in instrumental fashion, invoking the spirits of the other songs like any good overture should. “Bonfire” remains the obvious standout, but I really dug “Daniel’s Blues” for raising the early SNL players to archetypal glory. I don’t know that this is quite achieves what “Bonfire” set my expectations to, as some of the songs blend into a monotonous drone (an easy thing for this type of music), but it is a solid effort nevertheless, and I recommend checking it out. “Bonfire” is simply a must-hear. 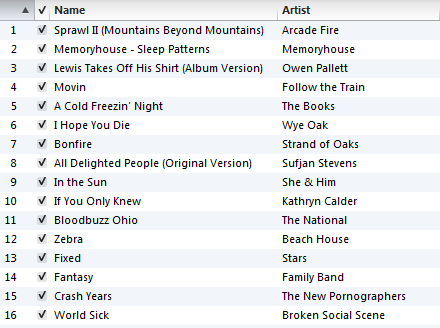 Rating: B. RiYL: Fleet Foxes, The National, Bonnie “Prince” Billy, Songs:Ohia, Red House Painters.